When you own and run your own business, you have successfully taken your first risk. Being a business owner requires risk taking.. Many popular business owners have taken risks to get their business to the next level. This does not mean one should jump into something without thinking about the consequences or assuming all results will be amazing. There are hours of planning and hard work that clear the path to a successful business. As a restaurant owner, you are constantly taking a risk. To begin with, you are running a business in an incredibly competitive market. Statistics put the food service business failure rates as high as 60% within the first year and 80% go under in five years. If you have a niche restaurant that customers might not be familiar with, you have to go through the educational process of communicating your brand, your food, and your business to new customers. Is it worth the risk? Let’s investigate. All restaurants have to develop marketing campaigns, hire employees, and train staff to best represent your restaurant. 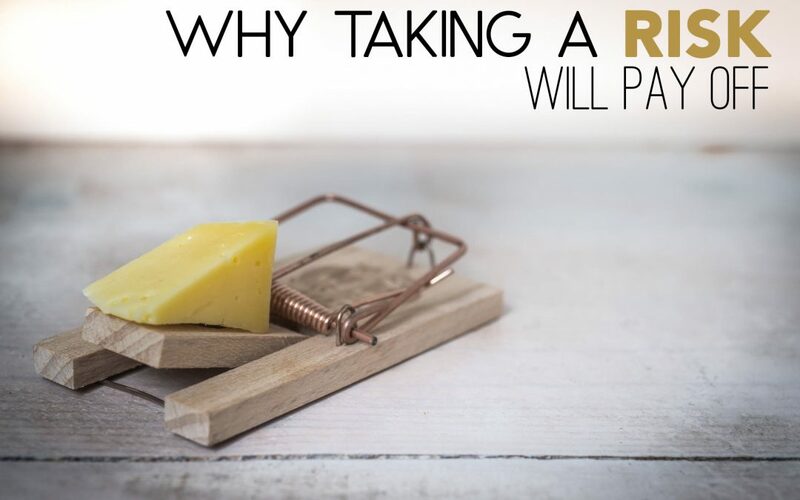 You might be taking a risk by hiring a person who costs a little more than someone else, but if you’re paying for quality work that could benefit your business in the long run, the risk might be worth it. You also might not be sure about investing money into a particular marketing channel or shifting gears to an innovative campaign without knowing how successful the change could be. Marketing risk is something many businesses fear, but also something they’re willing to sacrifice in order to get ahead. When it comes to taking any risks, the only person who truly knows if the risk will pay off is you. Being the key holder of this information shouldn’t scare you from trying something new. No matter what path you go, do it with intention, plan accordingly, and commit to the strategy. Some people are natural risk-takers. Others find taking risks to be incredibly difficult. Studies have show that people who are more willing to take risks end up being happier with their lives. Not all of the risks you take will pay off, but those who are optimistic will view any potential failures as a change to learn for the next opportunity that comes around. By failing, you can learn how to strategize better for the future. Many business owners steer clear from taking risks because they don’t want to fail or face any setbacks to their future. As a result, this fear keeps them from seeing and taking advantage ofopportunities in their industry. Customer demands and needs change each year, and restaurants need to adapt to these changes to remain competitive. Are you willing to take the risk?